17. 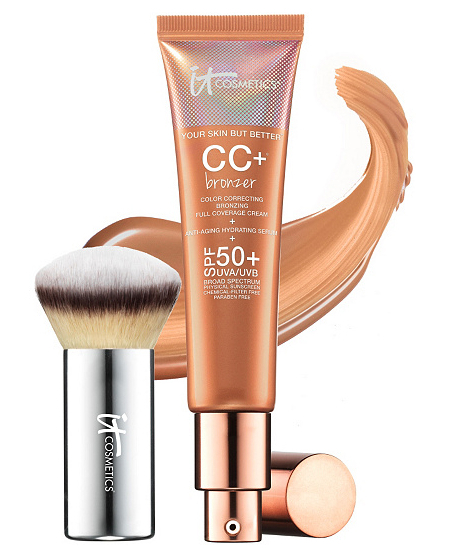 IT Cosmetics CC Bronzer SPF 50, $43.50 Like the brand's other skin-perfecting CC creams, this one is hydrating, anti-aging and contains SPF 50. You can use this multi-purpose bronzer by itself, mix it into your moisturizer for extra glow factor or buff it over your foundation to warm up your skin tone. It's full-coverage and imparts a little shimmer that looks natural and dewy, not overly sparkly.